Regional tensions in the Great Lakes are reaching an alarming level, with neighbours Rwanda and Uganda publicly raising the tone over the past few weeks. This is unusual – the two presidents usually prefer to settle their differences behind closed doors. Uganda says Rwanda is infiltrating its security services and spying on Ugandan state security. Rwanda, in turn, accuses Uganda of supporting anti-Rwandan rebels. Rwanda also says Uganda has been torturing Rwandan nationals, while Uganda accuses Rwanda of assassinating Rwandan dissidents on its territory. In early March, Rwanda closed part of its border with Uganda in response to Uganda’s expulsion of some 40 Rwandans allegedly involved in spying on the Ugandan state. Rwanda also warned its citizens against travelling to Uganda, saying they risked facing arrest or harassment. It’s hard to pinpoint exactly what triggered this deterioration. And both countries know that open war between them would be devastating to their populations, to stability in the Great Lakes, and to economic development in East Africa. What it does tell us is that the Great Lakes has failed to address one of the key drivers of instability – the regionalisation of national political struggles. This regionalisation is driven by several dynamics: repressive political environments; governments’ unwillingness to negotiate political settlements with their opponents; regional bodies’ instrumentalisation of these opponents; the inability of several countries to control their own territory and borders; and secondary drivers like illegal economic activities. Both Rwanda and Uganda have sponsored and hosted such movements over the past two decades, and are familiar with one another’s tactics and motivations. But they’ve usually been on the same side. Twenty-five years ago, the Rwandan Patriotic Front left its bases in Uganda to overthrow the Hutu-led government in Rwanda. Before that Kagame helped Museveni win power. Rwanda and Uganda both helped oust Mobutu Sese Seko in 1997, and they worked together in 1998 to try to overthrow Congolese president Laurent Kabila, then backed local proxies in the following five-year war. Uganda was instrumental in stoking ethnic violence between Hema and Lendu in Ituri province in the Democratic Republic of the Congo (DRC) in the late-1990s. It then backed all sides in a conflict that killed almost 100 000 people and allowed it to syphon off Congolese resources. 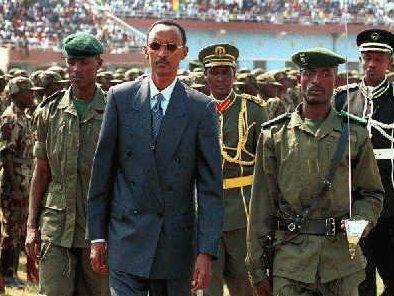 Later, both Rwanda and Uganda supported Tutsi-led rebels, who became the M23, in the eastern DRC. Both countries have developed substantial economic networks in the eastern DRC that largely benefit their countries’ political and military elites. Competition over access to resources may also be a factor in the current tensions, as they were in 2000 when the two armies clashed in Kisangani, DRC, in battles that killed over 1 000 Congolese civilians. Regional peace and security frameworks and peace accords have been ineffective in addressing Rwanda and Uganda’s central role in the DRC conflict; most have been too singularly focused on the DRC’s many governance failings. The Peace and Security Cooperation Framework was signed by 11 neighbouring countries in 2013 following the re-emergence of the M23. The framework singled out the DRC and imposed on it a series of internal reforms, while the other signatories committed themselves to refraining from supporting anti-government rebels in the region. Whatever commitment there was to this framework has faded. To be effective, a new regional approach to peace and stability must address governance and political instability in all core Great Lakes countries, and relations between them. This won’t be easy. The relationships between heads of state are almost familial, making it hard for external bodies to be accepted as mediators. Rwanda and Burundi also both refuse to speak with their armed opposition or to accept that domestic politics is driving conflict. Their relationship is a major concern for the region. Burundian President Pierre Nkurunziza’s decision to stand for a third term in 2015 sparked massive unrest and the subsequent crackdown on political freedoms led to an exodus of civil society and political opponents from Burundi. Many relocated to Rwanda. Since then, Burundi has repeatedly accused Rwanda of supporting armed anti-government groups trying to overthrow it. Rwanda denies this, but there has been some evidence that it has allowed training to take place in refugee camps on its territory in the past. The East African Community, under Museveni’s leadership, has skirted these issues, focusing instead on trying to mediate Burundi’s internal political crisis. The International Conference on the Great Lakes Region is too weak to lead a strong regional initiative and generate the political will needed among member states. But it is the only regional mechanism that includes the core Great Lakes countries. The African Union (AU) needs to step into this breach and take a pro-active role in bringing these heads of state together. Regional tensions should be discussed at the AU Peace and Security Council, which can direct the AU on how to most effectively address the deteriorating relations between countries. Other important regional players like Tanzania and South Africa can also help drive this process, especially at the level of heads of state, where tensions need to be de-escalated. South Africa’s Cyril Ramaphosa has experience in the region, and is respected by its leaders. Tanzania has a long history in the Great Lakes and is a member of the East African Community. Its President John Magufuli could play a significant role. The tensions between Uganda and Rwanda, and Rwanda and Burundi, may not spark a war between these countries, but they could lead to another proxy conflict in eastern DRC. They certainly further undermine cooperation on peace and security in this volatile area. This is an important opportunity for African players to prevent an escalation of conflict in the region.